Are you struggling to come up with profitable apartment marketing ideas for your community? It can be overwhelming to find the best ways to market your apartment but don’t worry you are not alone in the fight. It’s great that you are working to find ways to advertise your apartment because you will need to take steps beyond simply filling out the standard listing sites. One thing you will want to consider as you build out your marketing ideas is the available time and resources for you and your team. You can spend lots of money on paid advertising, and if you are not careful you can also start to invest lots of time into each initiative. 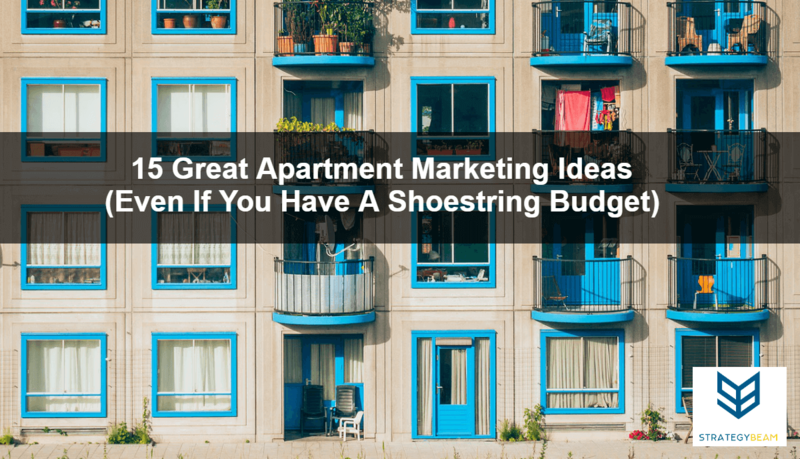 Here is a list of the top 15 apartment marketing ideas that you can use today to help drive qualified traffic to your site while keeping costs to a minimum! 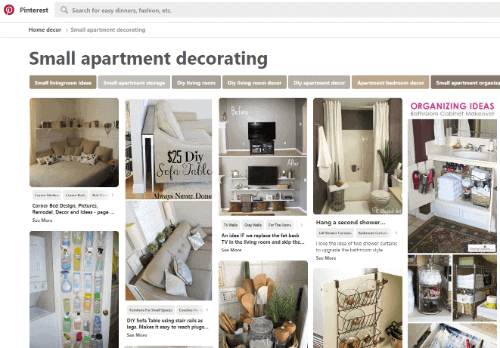 Pinterest and Instagram are excellent apartment advertising tools because they will allow you to feature your apartment with pictures. Showcase the best features of your community and highlight the apartment units that you have available. One thing to note is that you will need professional, high-quality photos for your Internet marketing strategy. Whether you are advertising your apartment complex on Instagram, Pinterest, or any other online source, you should consider hiring a professional photographer before posting photos online. You can hire a local professional photographer to help you gather the images you need to improve your online presence! The fastest way to turn away potential renters is with low-quality photos, so make sure you only use high-quality photos from a professional! If you want your apartment marketing strategy to work then you will need to go where potential renters are, and chances are that your ideal customers are on Facebook. While you can leverage Facebook with organic marketing strategies, if you are in a hurry to get more signed leases then you should look to paid Facebook ads. Facebook marketing is an excellent platform for apartment marketing on a small budget because you can reach potential renters when they are looking for a new apartment in your neighborhood. Facebook is a low maintenance, easy to use the platform to market your apartment, and there are lots of customization options to help you focus your marketing budget based on location, demographics, and other options. PPC marketing is a highly effective tool which you could leverage to make sure that your apartment community is easy to find when your prospective tenants search for apartments in your area by claiming a prominent position in SERPs. 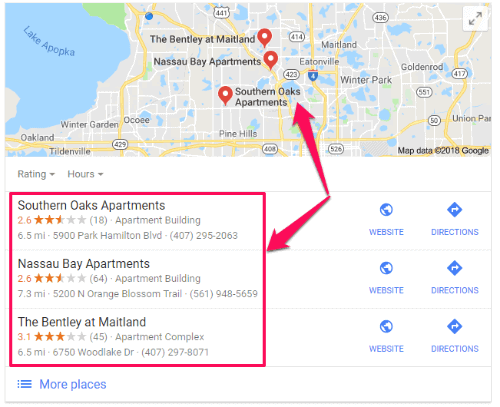 Since you control when and where your PPC ads show, you will be able to only show your ads to people in a specific geographic area when they search for apartments that are similar to benefits found in your community. Your apartment complex is a hyper-local product since the only search for an apartment if that apartment complex is in a specific town or area. AdWords is a great solution to help make your apartment marketing budget more efficient and drive more qualified leads to your website. Open houses are a common marketing tactic for apartment communities, and you can use Facebook Events to help promote whenever you host an open house. Simply produce a public Facebook event from your Facebook page, use attractive photography and promote your event across your social network. You can also combine this event with your Facebook paid marketing efforts to help reach even more qualified leads! This advertising tactic combines online and offline flat advertising. If you’re going to do an open house to fill up some empty units, encourage it using Facebook Events. Produce a public Facebook event with an eye-catching cover photograph and promote everything over social networking. 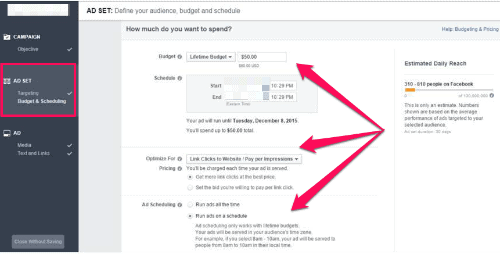 You can even run Facebook Ads into your occasion for much more exposure! While Twitter is not the most popular social media network, this platform holds a lot of promise for apartment managers who want to drive leads to their website or leasing office. One way to improve success with Twitter is to use an advanced search feature that lets you search for local users. 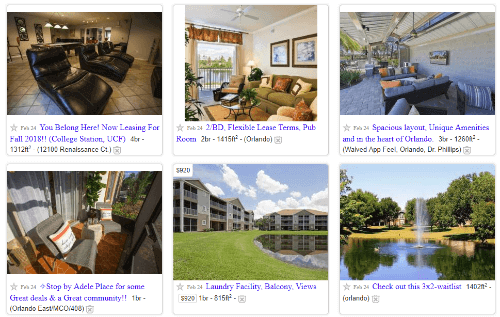 Using your apartment community’s Twitter account you will be able to search for Tweets based on local prospects. This is a great way to find people who are in the market for an apartment in your city and connect with them! If you want your apartment listings to stand out from your competition then you need to make them exciting and draw the attention of your readers. Fortunately, most online apartment listings are pretty boring so with a little effort, you will be able to get your community to stand out from the crowd. A great way to make your apartment listing engaging is to include high-quality photos and compelling website copywriting that entertains your readers. Let’s be fair, most online apartment listings are fairly generic. They record details regarding the unit and community, and that is about it. Instead of adhering to the script, then place your creativity to work and make your lists enjoyable and entertaining. This can allow you to stand out and attract more renters! Highlight the solutions that your apartment offers your ideal tenant based on user personas and research. People are searching for an apartment in your city, but are they finding your community or your competitors’ apartment complex? Organic SEO marketing is a long-term plan, but with proper planning and if you produce the right types of content your apartment will see an increase from qualified traffic and more leasings throughout the year. The best way to build great SEO content for your apartment website is to write content based on the needs of your tenants. Be sure to use your property name and city throughout your content. You can also build out specific pages for different features (Pet-Friendly, Luxury, etc.) so you can rank for those specific keywords. If you want potential tenants to trust you before they rent from you then you need to show that you understand their needs. Since your apartment complex is part of the local community you can blog about relevant local events and issues that will resonate with your audience. Writing great blog content isn’t easy, but with a little planning and attention to the content producers, you will be able to attract more qualified tenants. If you don’t have time to write blog content on a regular basis then consider hiring a professional blog writer to help you with this aspect of your apartment marketing strategy. You can write content that matters to your customers and speaks to their needs. Since you and your tenants are part of the local community, you should also consider writing blog posts for other local blogs. Each guest post should contain helpful information relevant to that blog’s audience, and you will be able to add a backlink to your apartment website in return. A professional website audit will help you find local blogging opportunities and align content with your site for maximum benefit! Each backlink plays a big role in helping your apartment website rank in Google and other search engines, plus you will be reaching a bigger audience. Be sure to continue networking and leverage your network to find opportunities to post guest blog posts with other local businesses! One part of boosting your apartment website’s position in search engines is to create amazing content that is relevant to your target audience. One idea that you can use to accomplish this is to create a city guide. Turn your apartment website into a list of helpful information about your city and surrounding area. You could create a map with the local hot spots around your apartment complex. This type of map will offer helpful information to your readers and align your apartment community with the best way to experience the local attraction you highlight on your map! This will help you talk with people looking to move to your city, plus this content will be on your website. If someone finds your content helpful they are more likely to continue through your website and sign a lease with you after learning more about your apartment complex. Building several “Top 10” lists about different kinds of businesses in your city is a great way to show that you know your local community and help your readers find answers to their problems. You can talk about the best local restaurants, attractions, and other notable events. Whenever people are looking to move to a new location they often look for “Top 10” lists. This means that you will rank for specific keywords and phrases that your audience is searching for already! This is also a great way to build partnerships with local restaurants or businesses. You can write blog posts on their blog (see #7) and feature them on your “Top 10” list in return. Not only will you help your audience learn about the local community, you will also get a great backlink to your apartment website. Since your apartment is a brick and mortar building, you should focus some of your marketing budget and attention on Local SEO. You want your apartment community to rank in your city and highlight the best features and other elements that are desired by your potential tenants. Verifying your apartment complex on these directories is quick and easy, and they provide a fresh perspective on your community to new tenants. Even when people are searching for apartments in your city, your apartment complex will appear in the directors and provide needed information like photos, address, and phone number to reach you at. More than ever before your potential tenants are consuming information through video. Today’s smartphones make it easy to learn about apartment communities through video format, and you can harness this power by producing videos that showcase your apartment complex. Don’t only rely on written content or pictures to tell your story. A video is a perfect way to help your audience connect with your apartment and see themselves living in your apartment community. One suggestion is to film a current tenant talking about their experience with you and your staff, their review of their apartment, and why they love you. This will help you stand out from your competition, plus you can use this video content in other promotional campaigns. Everyone wants to save money, and you can entertain your audience with helpful DIY tips for apartment living. You can cover common issues that many apartment tenants face each day and offer solutions that will help them save time and/or money. These videos should not be too long and can be only a few minutes long to accomplish their goal and help your viewers. Upload these videos to your YouTube channel and share these videos on your Facebook page. You can also include the video content on your Local SEO directories, so the time and energy you put into the videos will improve your overall apartment marketing strategy. Hosting an Instagram contest is a great way to boost engagement with your potential and current tenants on the social media channel while also building relationships. You can use an Instagram content is a number of ways, and this could quickly become the cornerstone of your social media marketing strategy. Partner with a local interior designer to show some DIY projects to make apartments in your community look amazing. Have renters post pictures of their apartment decorations. This will help interested renters to see the possibilities of your community and help them see themselves renting from you now. Run a contest to show off pet costumes around Halloween. As you build out your Instagram contests be sure to focus on making it fun for your audience and align the content with your apartment community. You can use the images in other marketing campaigns, so this means that you will not only gain more Instagram followers but you will also apply the content you collect to other areas of your apartment marketing strategy!